The European Commission (the Commission) has published its decision fining contemporary clothing brand Guess almost €40m for imposing restrictions on the activities of its distributors. Most of the restrictions identified by the Commission were already addressed in existing case law and guidance, and the Commission’s decision did no more than reaffirm existing principles. However, the Commission also held that Guess’s ban on authorised retailers in its selective distribution system from bidding on Guess brand names and trademarks as keywords in Google AdWords amounted to a “by object” infringement. In other words, the ban was so damaging to competition that it was presumed to be illegal. 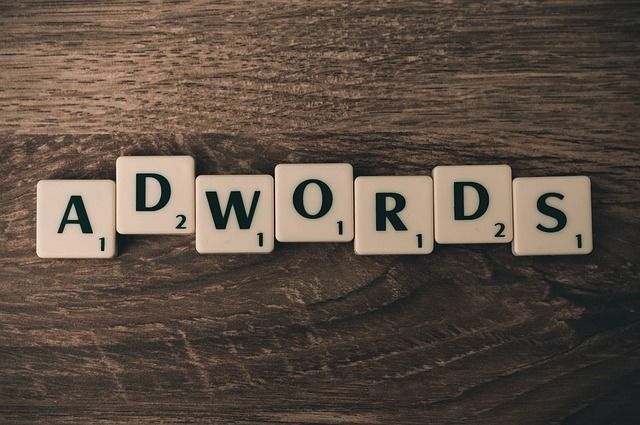 This is the first time the Commission has reached a formal finding about AdWords or other online advertising restrictions, and amounts to a clear warning that it will not allow manufacturers to seek to prioritise their own retail activities – or alleviate their advertising costs – in this way. Guess operates a selective distribution system in Europe - a framework under which a supplier sets specified quality criteria that distributors must meet before they are authorised to sell its products. The Commission initiated proceedings against Guess in June 2017 – following publication of the final report of its e-commerce sector inquiry – to investigate whether features of Guess’s selective distribution system were anti-competitive. independently deciding on the retail price at which they sell Guess products (amounting to resale price maintenance). In its May 2017 working paper accompanying the final report of the e-commerce sector inquiry, the Commission noted that manufacturers would have an interest in restricting their distributors from using or bidding on their trademarks to get preferential listing on internet search engines. However, the Commission also commented that such restrictions “could” raise concerns should they restrict retailers’ “effective use of the internet as a sales channel”. The Guess decision represents a clear and deliberate progression of the Commission’s thinking to categorise these online advertising restrictions as a serious breach of EU competition law. A “by object” restriction is presumed to be anti-competitive by its nature, and companies bear the burden of proving otherwise if they wish to avoid illegality. does not go beyond what is necessary. In addition to appointing authorised distributors, Guess itself also sold products direct to consumers. The Commission found that Guess’s rationales of wanting to: (i) minimise its own advertising costs (by limiting competing bids on Google AdWords); and (ii) maximise traffic to its own website by reducing competition from its authorised retailers, were not legitimate objectives. The Commission considered that the effect of the restriction was to constrain the “findability”, and “viability”, of authorised retailers online, thereby restricting competition. In addition, the Commission did not consider that the restriction was justified by trademark law as there was no risk of confusion as to the origin of the products, given that the retailers were authorised members of Guess’s selective distribution system. The Commission also held that such an online advertising restriction was not able to benefit from the EU Vertical Block Exemption Regulation, as it was equivalent to a restriction on active and passive sales. It would seem likely that there will be circumstances where the effects of such restrictions on competition are not as dramatic as portrayed by the Commission, and that there are legitimate business justifications for adopting them. Equally, the decision does not address whether less comprehensive restrictions - such as a requirement to bid only on specified positions in search results (where this is technically possible) – could be justified. However, given the Commission’s findings on the absence of a “legitimate objective” in this case, manufacturers have been put on notice that it may be challenging to justify online search advertising restrictions to the Commission’s satisfaction. While the Commission generally re-emphasised common principles of selective distribution that: (i) there can be no territorial restrictions on sales within a selective distribution system; and (ii) authorised wholesalers and resellers must be free to cross-supply each other, several parts of the Commission’s assessment are worth mentioning for the practical, contractual issues they raise. (a) Absence of online selective distribution criteria: Guess’s agreements provided that authorised distributors needed to seek written consent from Guess prior to making online sales, and included selective distribution criteria applicable only to offline sales. Manufacturers are entitled to require quality standards for the use of websites, just as they are for bricks-and-mortar stores. However, the lack of any specified quality criteria linked to the prior authorisation requirement for online sales was construed by the Commission as evidence that there was no intention to apply such criteria when considering whether or not to permit online sales. Instead, Guess was found to have exercised complete discretion and to have operated a strategy whose main object was to restrict online sales by authorised distributors. (b) Incentives to purchase products direct from the manufacturer: In finding that Guess had restricted its authorised wholesalers and resellers from cross-supplying one another, the Commission noted that contributory factors to this strategy were that Guess had incentivised purchases direct from itself by: (i) establishing minimum purchase obligations which would not be satisfied by making purchases from other authorised distributors; and (ii) requiring retailers to report to Guess when purchases were made from authorised distributors. The combination of these two elements were held to reinforce an overall strategy to discourage or prohibit cross-supply within the selective distribution system. In making its findings, the Commission made extensive reference to Guess’s agreements and strategy papers, demonstrating once again the importance of internal documents to the Commission’s assessment of infringements. Guess cooperated with the investigation and accepted that its conduct had amounted to an infringement, thereby obtaining a reduction of 50% in the fine that would otherwise have been imposed. For more on online distribution agreements, see our 10 Key Themes chapter on Frenemies.